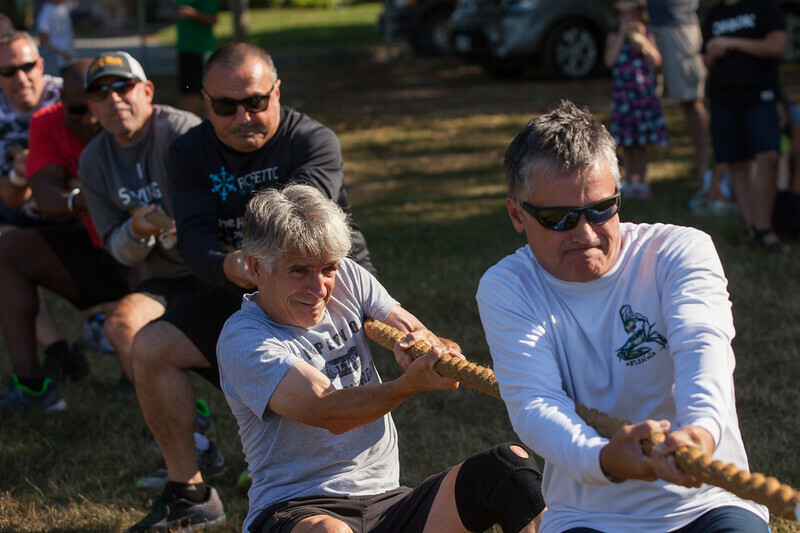 Niagara Kettlebells Tug of War 2016 is the 2nd annual Tug of War that they have held. In 2015, Tina Boccabella organized this event for members of her studio Kettlebells Niagara to raise money and give back to the community through Project Share Niagara Falls. The fun and excitement spread very quickly and from there Tina invited other organizations in the community to join in the Tug of War. We had members from Niagara Parks Police, City of Niagara Falls, Niagara Falls Fire Department, Niagara Regional Police Service, Crossfit Versa and Kettlebells Niagara. This spectacular even held on July 12, 2016 raised a stunning 867 lbs of food and $880.00 for Project Share in Niagara Falls. Below are some images that were taken by Elizabeth Klassen Photography. These images are for sale on here however all profits from the sale of downloads (personal licence) and printed images will be forwarded to the cause of Project Share Niagara Falls! If you feel that you would like to participate in this event in 2017, please know that the date has been set for July 11, 2017! Get practicing on your technique and be ready with your team!